EA Series - B&A Mfg. 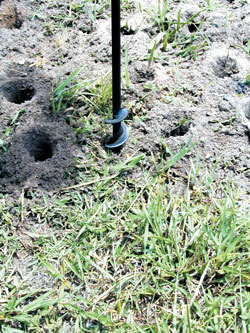 Co.
Termite bait stations and soil sampling has never been easier. 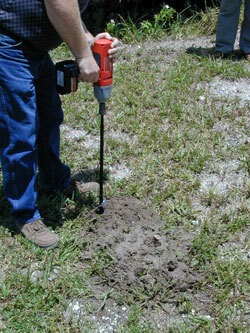 The B & A Carbide Tipped Earth Auger is ideal for termite bait station installation or soil sampling. 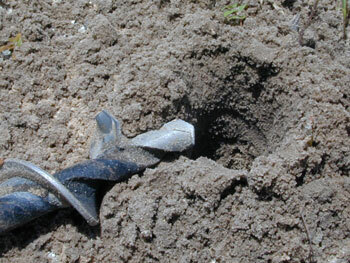 Armed with a carbide tipped pilot and a carbide tipped cutter on the flute, the B & A Earth Auger easily out performs standard steel earth augers. The carbide tipped earth auger is equipped with a standard 7/16" hex shank that fits both 7/16" Hex Quick Change Chucks and 1/2" Jacob® Style Chuck.